Zepp Labs specializes in wearable sports technology for baseball, softball, golf, and tennis athletes. Zepp's innovative products provide athletes with meaningful data to help improve performance and reach their full potential. With Big Apple Buddy’s personal shopping service, you can now buy direct from the USA Zepp online store anytime, anywhere. 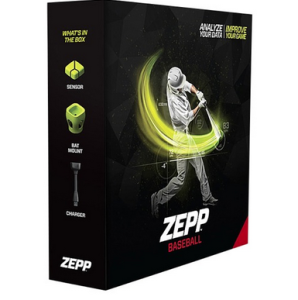 The easy-to-use Zepp Baseball Kit allows players to work on improving their swings, bat speed, and hitting techniques. Used by professional baseball players like David Ortiz of the Boston Red Sox and Mike Trout of the Los Angeles Angels of Anaheim, this kit seeks to provide both coaches and players with effective tips to help them improve their game. Users can connect use the Zepp sensor to capture their swings and watch a 3D video of the swing on their mobile device by using a Bluetooth connection. Athletes can then analyze their swing data and compare it to the pros. 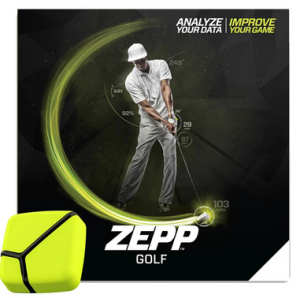 Golf players can also analyze their swing and learn how to make improvements with Zepp’s Golf Kit. By using Zepp’s sensor and their free app, athletes get in-depth data and statistics about the speed and tempo of their swing and are able to view their swing in a 3D video. In addition to speed and tempo, the sensor reveals more information about an athlete’s backswing position and hip rotation. Zepp also offers kits that deliver similar sets of data for tennis and softball. Unfortunately, the Zepp online store currently only ships to select countries. Big Apple Buddy, your personal shopper, can however help you buy products direct from the official Zepp online store and ship them to your doorstep, no matter where you are in the world. If you would like to buy from the USA Zepp online store, simply let us know which items you would like to order (by filling out the form below) and we’ll get back to you with a free international shipping quote within 24 hours!